It was not to say that Korra disliked Princess Kaede's idea of a girl's day out; she was just not used to the notion, primarily because she worried about going into certain parts of town given her own traumatic fears. But, Kaede reminded her of how strong she was, and how strong the little princess herself was, and it gave the little waterbender with rock-bottom self-esteem levels a little confidence boost that really helped. And thus, Korra became victim of Kaede's whims for a day, taking part in all sorts of girly things like manicures and pedicures, getting their hair done, buying new clothes and dresses--the whole 9 yards. It was later in the afternoon when they finally took a break, so to speak, before taking a walk around the city. Despite the rotten underbelly, there were plenty of places in Zulera City that were beautiful and (mostly) safe. these were where Kaede and Korra stayed, overall having a good time. Well... until Korra froze. when asked about it, she glanced around. "There is someone following us." Korra warned, "stay close to me, Kaede. I'l bring them out..." she pulled water from the flasks at her sides, before tiptoing sideways towards a narrow corner, before she slung the water at who she suspected the spy might be. 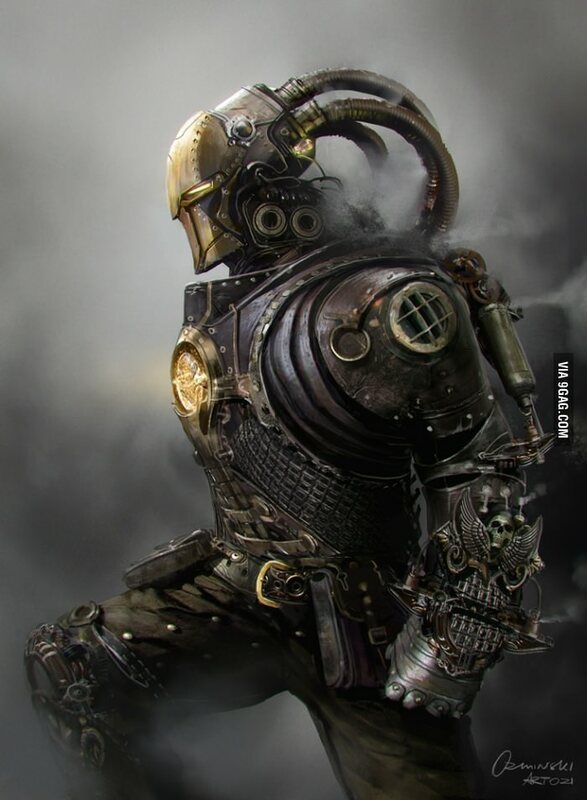 Granted, had she know it was a metal suit, she'd have realized that it'd take a much stronger blast of water to faze it, but whatever was back there, she needed to stop it from stalking them. "It's not what's wrong with me. It's what happened to me..."
Zulera City. Minato and his gang were the town’s muscle. He wasn’t the richest Crime Lord, and he didn’t have as much influence as the others, but he did have the most dangerous gang. All veterans of The War Of Tipped Scales…The Shadows. Any particularly violent and heinous crime in the city, was attributed mostly to them. Obsidian had tracked Minato all the way from Ba Sing Se, and the city had become a home for him as he searched for his betrayer. He had gained a lot of intel on the gang he was hunting, but Minato was paranoid and hid himself well, working only through intermediaries. All that was left was for Obsidian to hurt Minato’s operations enough to draw the coward out of hiding. There wasn’t a chance in hell that Obsidian was going to let Minato succeed and so he found Kaede, and followed her. From the shadows Obsidian couldn’t help but smile at Kaede. The most beautiful and graceful young lady he had ever seen. She had a gentle spirit, and just radiated joy. With her always was another young woman. She was beautiful as well, but appeared to carry a heavy burden. It made for a stark contrast between the two young ladies. It was a night like any other, Obsidian had watched over Kaede from the shadows, not knowing when Minato’s men would strike. He had suffered through hours of watching them have their girls night out and was about to call it a night when one of the girls caught wind of him and basically splashed him with water, exposing his position. At that very moment Obsidian looked up to see attackers moving in from the rooftops. Not to say that Korra was freaked out... but Korra was suddenly in hysterics. To say that the notion of a masked man was not downright terrifying for the young waterbender might have been an understatement. Panicking, she scrambled backwards until she was pinned up against a wall, looking around frantically. She seemed to almost want to say something, but all that came out of her mouth was incoherent gibberish. "Please..." Kaede stepped forward hurriedly, trying to obscure Korra's view, since thew aterbender was now cowering in her corner, "you're scaring her. Who are you? and what do you want with us?" Not that Kaede was about to give in or anything, but a random stranger telling them to follow him--and one that was putting her friend into straight-up hysterics, no less, was not exactly something that sayt comfortably with Kaede. Kaede paused for a second as her mind went into overdrive. It took some seriously deep thought to process what this man was saying, and despite Korra's panicking, she knew that they should trust him. So... she did what she did best, and became a little sweetie-pie for Korra's sake. "Korra... it's gonna be okay. just... trust me, okie?" she pleaded, "I promise I won't let him hurt you. he wants to help us! I know it!" 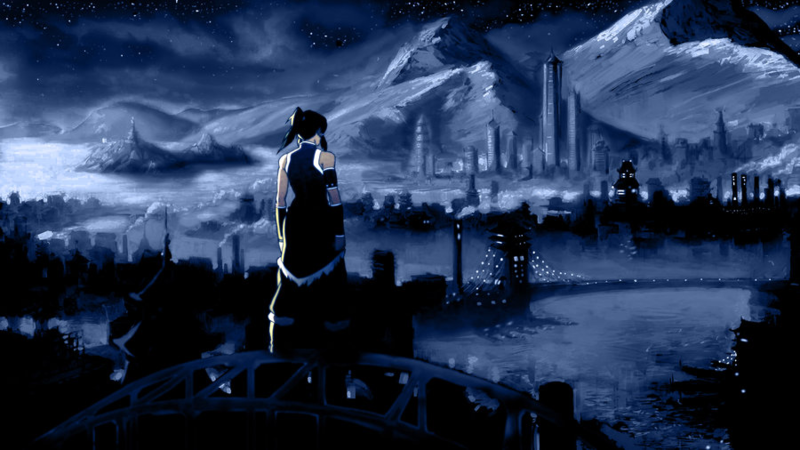 Korra sighed, standing up slowly with her knees trembling. The words had scarcely left his mouth when three of Minato’s thugs leaped in front of Obsidian. In a split second, Obsidian reacted. His instincts and reflexes honed from years of battle. He threw his arms back and delivered a mighty kick to the chest of one the attackers. The force of the kick broke bone and launched the thug across the alley and into a wall which cracked from the blow. The two remaining thugs stumbled back in fright, but Obsidian would not let them get away. He grabbed the nearest attacker’s leg and tossed him to the side, into a pile of garbage. The last remaining attacker tried once last attack as he tried to scramble away, shooting a small chunk of rock towards Obsidian. Obsidian held out his hand and caught the rock in his iron grasp. He immediately tossed it over his shoulder before he took a step towards the attacker and knocked him out with a single punch. What Obsidian didn’t see however, was two of Minato’s men sneaking up on Korra and Kaede, while he was busy with the other three. Incidentally, Korra and Kaede were able to keep up with him fairly easily, as both of them were very light on their feet--the latter because of the tricks her mother had taught her, and the former due to her own trauma and paranoia. however, as Murphy would have it, they had almost reached their destination when they were suddenly attacked by bandits--or assassins, or whatever they were. Obsidian was able to fight most of them off, but Korra noticed a few that slipped his eye--and this was before she had even turned around. "BEHIND YOU, KAEDE!" Korra warned, pivoting expertly around on her heel before whipping up two large swathes of water that spun around her hands in a large radius. She charged one of the assailants, while Kaede wasted no time in back-flipping towards the other of them, striking them with small flames to knock them back for a second. Korra sent one swathe of water towards one foe, and the other against the other, mostly just knocking them down and saturating them with water. Kaede, knowing exactly how to utilize this, went in for the finishing strikes, jumping forward and launching a powerful bolt of lightning from her hand towards the two--electrocuting them swiftly and effectively. Obsidian had just finished dealing with the three goons when he heard Korra shout a warning to Kaede. He watched with a smirk as the two youngsters made quick work of the attackers. He did not expect such a skilled and coordinated counter-attack from the two little ladies, but then again…she *was* the Fire Lord’s daughter and Korra *was* her bodyguard. But the group that had just attacked were only scouts, Minato’s veterans would soon be upon them in greater numbers. Obsidian wasted no time after the thugs were dealt with. “Let’s move!” he called out as he bolted off once more into a dark alley nearby. He moved surprisingly quickly and quietly for a man clad in so much armor and had covered a lot of ground in no time at all. Of course he knew the nimble young ladies would have no problem keeping up. Obsidian suddenly stopped at the end of a well hidden alley. He crouched down and placed his palm on the ground, using earthbending to reveal a secret tunnel. “get in quickly..” he whispered as his eyes scanned for any attackers that might have followed. Despite being traumatized (by events that happened long before this one), Korra was in fact rather efficient. It might have given rise to a curiosity as to why she had freaked out earlier if she could handle her own so well in a fight, but Korra (or more likely, Kaede) could explain it later. Kaede and Korra both managed to keep up with the metal man, Korra mostly following because she trusted Kaede, and Kaede trusted him. Kaede hopped into the tunnel without hesitation, having adopted her trusting nature from her father Tarek. Korra jumped in after her, knowing it was her duty to protect her. Obsidian didn’t look back or stop when Korra spoke, he just continued walking. “Nowhere to run indeed,” he said in his deep, gruff voice, “if it was my intention to bring you harm, it would be the perfect time. In this tunnel you would not stand a chance.” He said as he forged ahead, ducking under a low hanging piece of ceiling. Kaede nodded understandingly as they reached what was clearly a base of operations. She was in fact used to better, but that did not mean that she could not crack down and deal with it for the time being. While Kaede listened to Obsidian's remarks, nodding understandingly and thanking him politely when the compliments were given, Korra was wandering around the different rows of gadgets, looking at some, analyzing others, and even daring to pick a few up to look at them. Thus, when a question was finally shot her way, she actually jumped, putting down a gadget that she had actually already started looking at ways to possibly upgrade. "I spotted you for the same reason I panicked." Korra explained meekly, "it's... a long story that I would rather not get into." She figured that Kaede would spill it, because it did need explanation, but Korra was not really the one suited for explaining it, because it would sometimes bring back the traumatic memories themselves, which was not what she wanted. "these gadgets," she was clearly trying to shift the subject, and Kaede was right there to answer the questions if Obsidian wanted the details--Korra had probably just generated more questions than less. Obsidian raised an eyebrow behind his mask. He was no stranger to war, and many of his friends suffered from post-traumatic stress, he was now beginning to see similar signs in Korra. He respected her wishes and did not the press the issue further; instead he turned back to Kaede and leaned forward. “I take it your friend has been through much?” he asked in a soft, compassionate voice, curious to find out what had moulded Korra into the woman she was today. Kaede frowned. "that was why she freaked out. She's been through a lot of terrible things... some of which would have shattered the will of adults twice her age or more." Kaede was not one to tell tall tales, but the story of Korra was one that most people had to hear to actually believe. Luckily Korra was oblivious to that conversation. Instead, all she heard was something about gadgets and being unable to upgrade them. "These look promising," she turned back to the others before disappearing down the ranks and rows of gadgets and gizmos, "I could upgrade several of these fairly easily. All I'd need were a few bits of sire and maybe some scrap metal of some sort..." she started rambling a little as she picked up this or analyzed that, getting right in her little groove. Kaede smiled up at Obsidian as if to silently say that underneath the traumatized exterior of the young waterbender, there was a brilliant little genuis waiting to show herself. Perhaps it was for the best when Korra shut herself in the other room with the scraps and the blueprints on the table. She scanned a few of them, looking at what sort of concepts they were trying to give life to, and she already began forumlating what she could do. Alone in a workshop, and Korra was dangerously talented. It was not long after that they began hearing banging noises and other sounds form there, meaning that Korra was absorbed in her work. Kaede on the other hand, seemed much less excited. "the stories Korra has told me..." she shuddered, "that girl's life is one big horror story..." She started from the beginning, as recounted by Korra to her (Kaede was one of the few people Korra trusted with it). Everything Korra had told Kaede about her life, she shared with this man, trusting him with this personal information. "Please do not share it with anyone... not even Korra." she requested at the end, "I don't know what her patterns are, but sometimes even talking about it in front of her can trigger those horrifying memories. She..." Kaede frowned, "she deserves so much better than this..."
Obsidian paused for a moment, then turned to Kaede. “Where do you come into her tale? And the madman? Does he still live?” asked Obsidian in a determined tone. Every now and again there would be the banging of a hammer, the crackling sound of sparks, or the shifting or sliding of boxes or other heavy objects. Korra was either rampaging like a bull in a china shop, or she really knew what she was doing. "My brother and I came in afterwards, shortly before my father Tarek took Korra in to help repair her fractured spirit," Kaede explained, "as for the madman... there has been no evidence of his actual death, even though he has been vigorously pursued by Aveline ever since." She paused. "Although... I am curious then. if you say he has done this to other women before... how did Korra manage to survive it?" 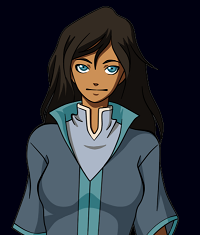 Korra was an intriguing individual to Kaede, who had never met someone as erratic and unusual as the young waterbender. It was a mystery for the ages. 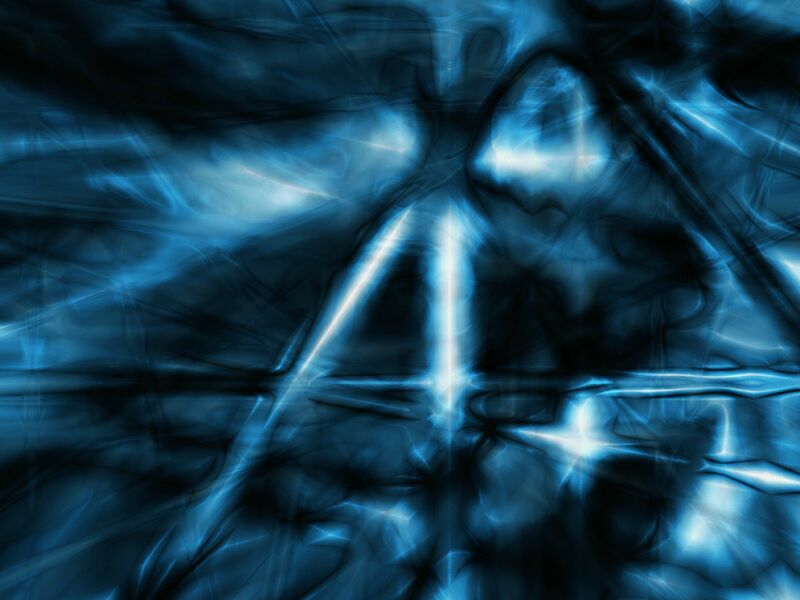 Obsidian turned his head towards his workshop, where various sounds were emanating from. He smiled behind his mask, it sounded like there was a whole group of people working instead of just one girl. He was glad that she could be busy, at least it would take her mind off the stressful evening she had just experienced.